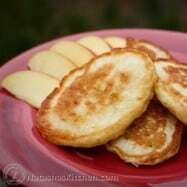 We were so happy to discover this new Polish apple and cottage cheese pancakes recipe. Or at least we think they are polish. We found it on a blog called Slodka Babka (isn’t that a cute blog name?). The blog was written in Polish so we did some figuring and we determined they were likely Polish. It was interesting to find out what a “dag” was. It doesn’t convert to grams like Google translator would like to make you believe. If you were really curious, 1 dag = 10 grams. 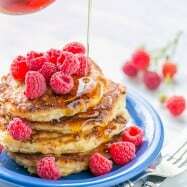 Any-who, what you have here is a darn good breakfast recipe. 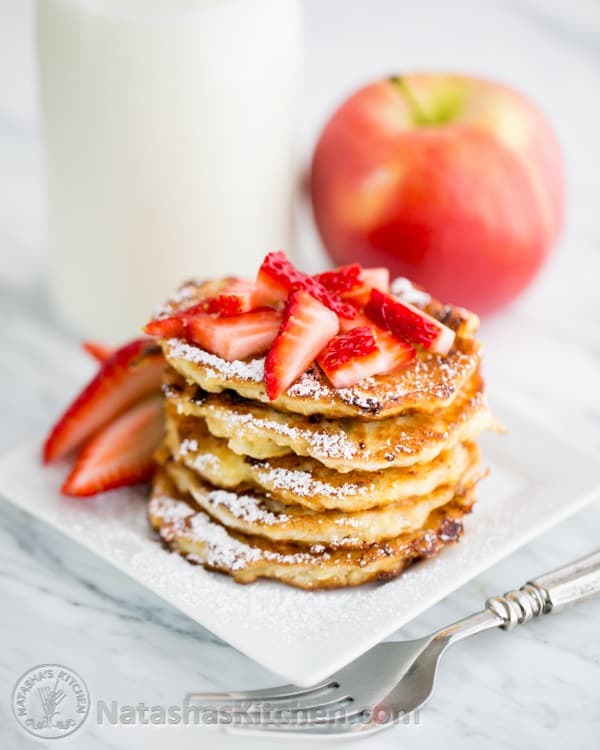 What I love about these pancakes (besides being delicious), is they’re so quick and easy to make. There’s no yeast, no baking powder or baking soda, and there’s no waiting around for the batter to rise, yet it’s fluffy. I don’t think I would have ever thought to make them like this. It’s genius. Read on to find out the easy and wonderful little secret. 1. 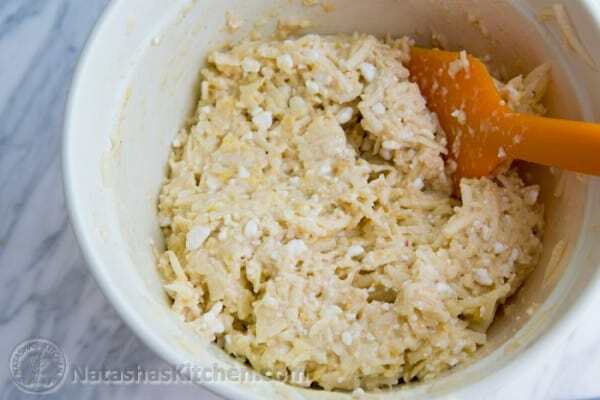 In a large bowl, mix 1 ¼ cup of flour, 4 egg yolks, 3 grated apples, 1 cup of cottage cheese, 1 Tbsp of honey, ¼ tsp cinnamon and a pinch of salt. 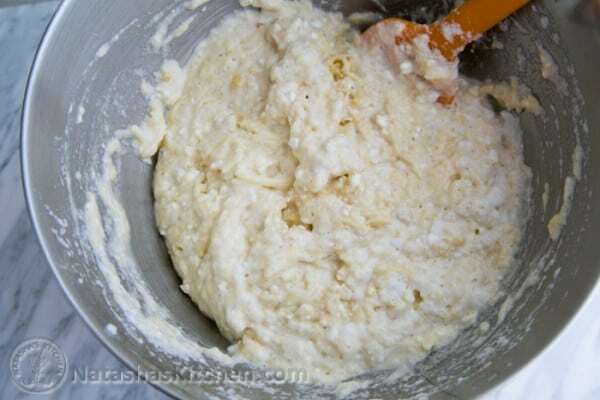 Mix until evenly blended. 2. In a separate, clean bowl (in case you like to use dirty bowls I guess; sorry, that was a duh) beat egg whites 1.5 minutes on high speed with a hand mixer until foamy and soft peaks form. 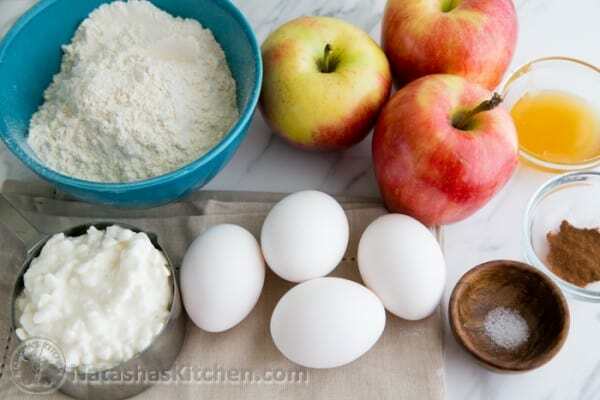 Fold the egg whites carefully into in the rest of the mix using a spatula. 3. Add 2-3 Tbsp of grape seed or extra light olive oil to a large nonstick skillet and preheat it to a med/high. 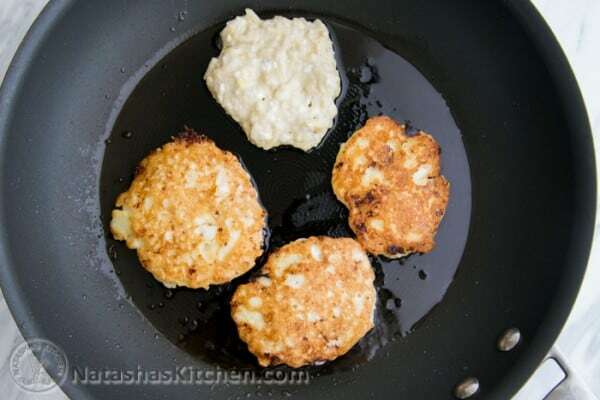 Drop a tablespoon-full of the mixture onto the hot oiled skillet and press it down slightly. Saute for 3-4 minutes per side until golden on each side. 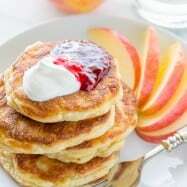 In a large bowl, mix 1 ¼ cup of flour, 4 egg yolks, 3 grated apples, 1 cup of cottage cheese, 1 Tbsp honey, ¼ tsp cinnamon and a pinch of salt, stir until blended. 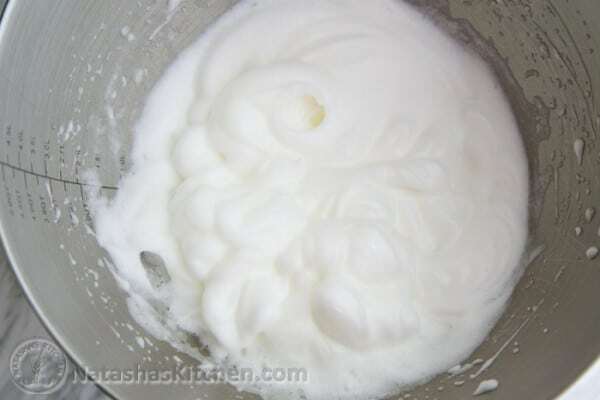 In a separate, clean bowl, beat egg whites 1.5 minutes on high speed until foamy and soft peaks form. 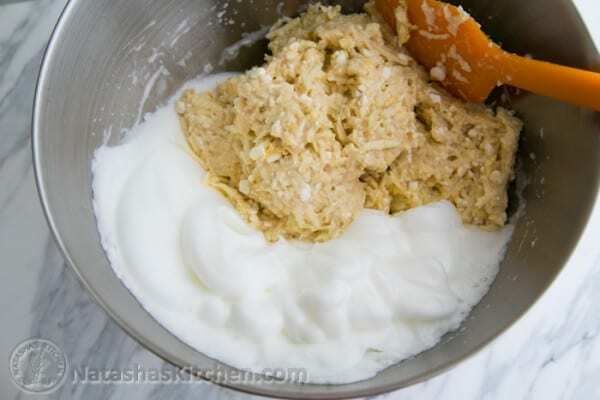 Fold the egg whites carefully into in the rest of the mix with a spatula. Add 2-3 Tbsp oil to a large nonstick skillet and preheat it to a med/high. Drop a tablespoon-full of the batter onto the hot oiled skillet and press it down slightly. Saute for 3-4 minutes per side until golden on each side. 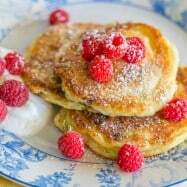 Serve with powdered sugar, sour cream or your favorite jam. Enjoy! 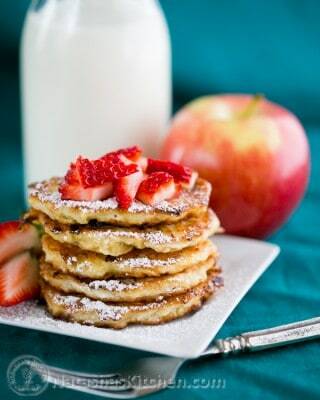 Can u make this recipe except without the apples? 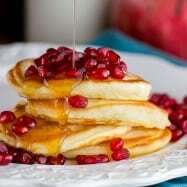 My husband has been asking me for straight-up cottage cheese pancakes…would it work? Any blog named “Slodka Babka” is pretty awesome! I’ve made these a few times now and absolutely love them, as does my 2yo and hubs. 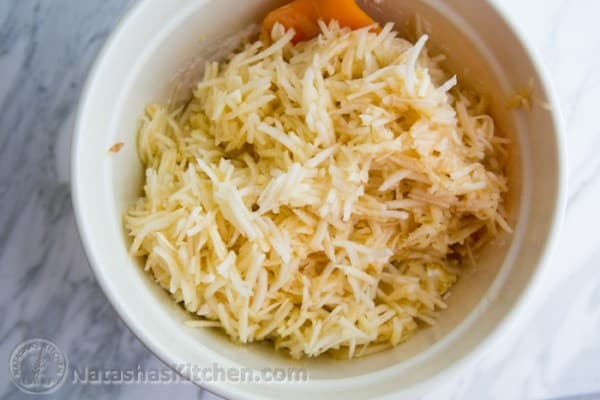 This recipe looks amazing Natasha. I can’t wait to try it. 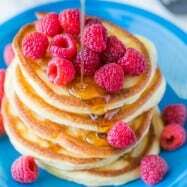 This is great printer friendly format, I’ve actually never commented before but I LOVE the recipes you have, I have tried ALOT of them :o) love love love the tres leche cake AMAZING! seriously though thanks for sharing these recipes and in very detailed instructions and posting new ones so often! awesome!